TickleMe Plant Greenhouse Giveaway!Â Enter to win your very own & get a 15% Discount to buy one as well!Â It’s definitely a win either way! This super cute plant is perfect for teaching your little ones how to grow things! What a wonderful science and earth lesson!Â With Easter and Earth Day coming up, it’s the perfect Spring activity! TickleMe Plants are the only plants that will close their leaves and lower their branches when tickled! TickleMe Plant Company has a plant set or kit for everyone! Take a look at our favorite TickleMe Plant Kits Below! Just in time for Easter! 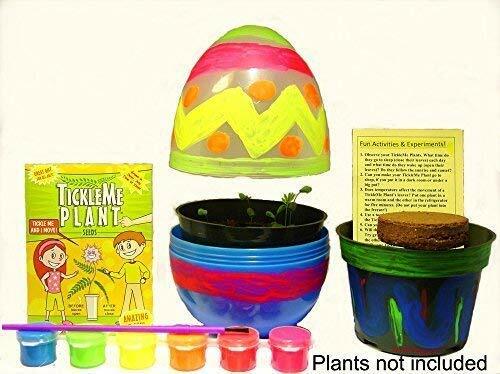 TickleMe Plant Easter Egg Terrarium with Paint Set! Paint This Large 6 inch Egg and Grow The Plants Inside. The Leaves Close up When Tickled. It can Produce Sparkling Pink Flowers! Use the discount code (15percentegg) to save 15% off of your Easter Egg Terrarium kit. The discount code is only valid for a limited time and while supplies last! Don’t miss out on your chance to get this fun Easter TickleMe Plant kit for your kids! Fun for the Kids! TickleMe Plant Deluxe Greenhouse Kit with 6 Color Paint Set for Kids with 10 Fun Activities. 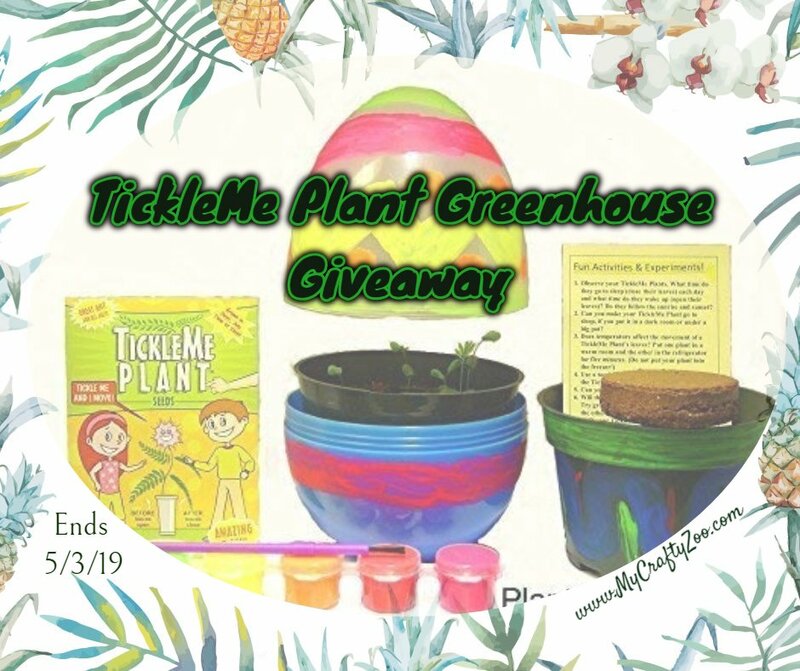 This TickleMe Plant deluxe activity kit comes complete with all you need to grow your very own TickleMe interactive plant. It includes seeds, the plant pots, growing medium, a greenhouse, science activity card, AND acrylic paint set with a brush to paint the pots! This set is ideal for parents to inspire their kids with fun science activities. Grow the only house plant that closes its leaves and lowers its branches when you tickle it. What a great learning experience! Mommyâs Playbook Giveaway Rules: This giveaway is Sponsored by TickleMe Plant Company and hosted by Mommyâs Playbook. Victoria and/or Mommyâs Playbook, Participating bloggers, are not responsible for prize fulfillment. No, I’ve never heard of it.